"If you could have anything in the world, what would it be?" "To be taken far away from here…" Focus Features has unveiled the teaser trailer for Sofia Coppola's latest film, titled The Beguiled, adapted from Thomas Cullinan's Southern Gothic novel. Set during the Civil War, an injured Union soldier ends up being nursed back to life inside a girls' boarding school in the Confederate south. Colin Farrell plays the soldier, and the cast includes Nicole Kidman, Kirsten Dunst, Elle Fanning, and Oona Laurence. While at first this seems like a simple love story, the twist is that the girls eventually turn on him, and there's that crazy funny line that Farrell shouts at the end of this trailer that is already being turned into a meme online. While imprisoned in a Confederate girls' boarding school, an injured Union soldier cons his way into each of the lonely women's hearts, causing them to turn on each other, and eventually, on him. 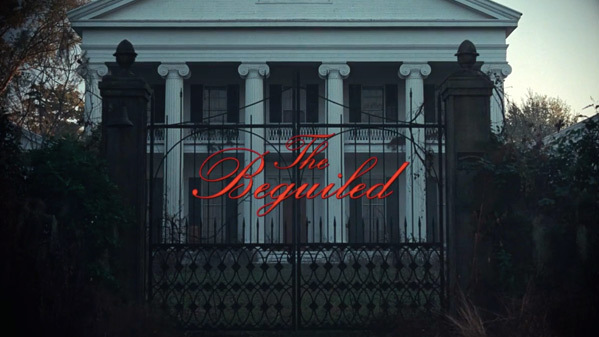 The Beguiled is both written and directed by American filmmaker Sofia Coppola, of the films The Virgin Suicides, Lost in Translation, Marie Antoinette, Somewhere, The Bling Ring, as well as Netflix's A Very Murray Christmas previously. Adapted from Thomas Cullinan's novel of the same name, first published in 1966. The film has yet to premiere at a major film festival. Focus Features will release Coppola's The Beguiled in select theaters starting June 23rd this summer, expanding the next week. Stay tuned for more updates. Who's interested? No mention that it's a remake of the Clint Eastwood film? I guess they're going the route of "it's another adaptation of the book, not a remake" like some other films recently. The novel is definitely credited/mentioned. Haven't seen the Eastwood film - any good? So is the original worth a watch? I've seen it on Encore Westerns from time to time but never gave it a go. I'll give it a shot! Thanks for the recommendation Bo! That's really intriguing. Got a solid cast. I LOVED the Virgin Suicides and I'm a fan of Sofia's style. Lost in Translation was overrated and boring, but this looks interesting. Although not sure how it compares to the original with Eastwood.